I was out on the Commonage today, south of Vernon and above Kalamalka Lake, and found some Giant Wild Rye Grass growing on the road margins of a riparian area. The tallest individuals were about two metres high, which is higher than this photographer, even with his walking shoes on. This is a stunning grass. Cattle won’t eat it. I guess it’s like chewing on wood pulp. 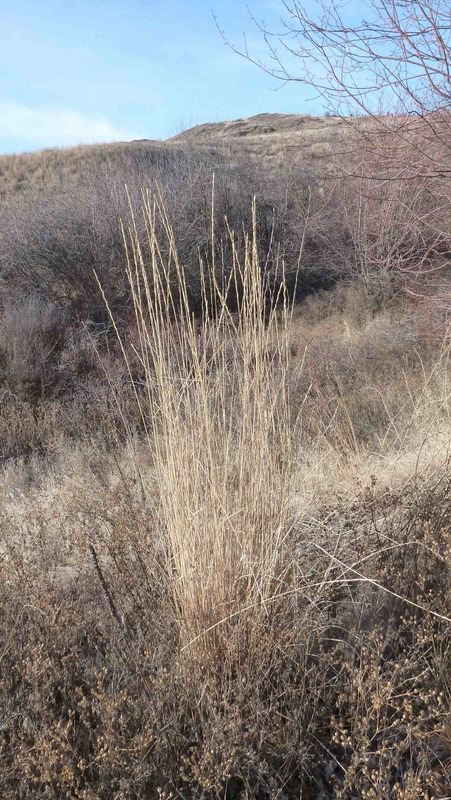 Its height gives it a unique habitat among the weeds. 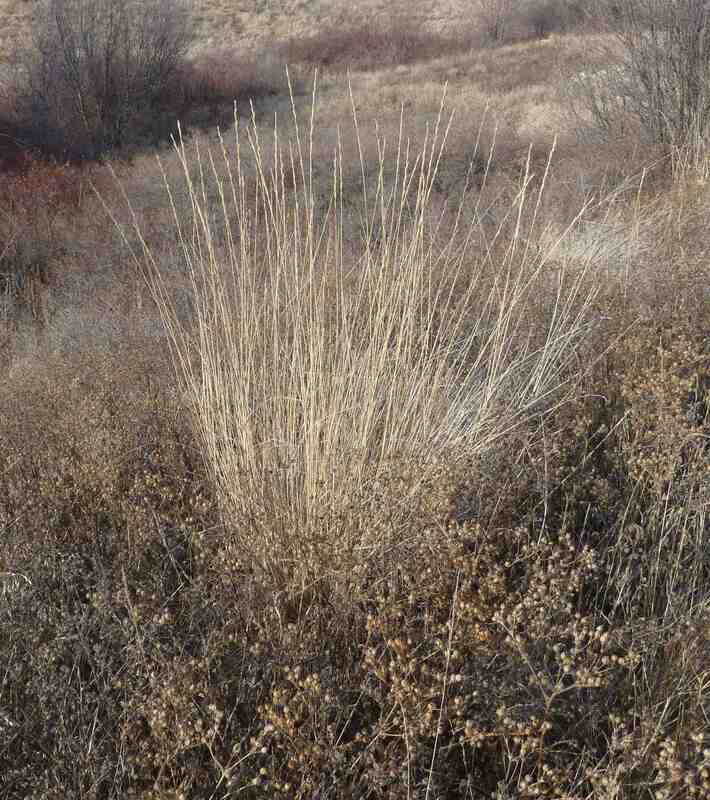 Giant wild rye grass loves poor, wet, alkaline soils crusted with salt. Each individual is an entire water drainage system in itself. It removes excess water by lifting it up. And we’re not growing this grass in our roadside ditches for fibre because …? Why, you’d almost think we had so much money we didn’t need a little help from our friends.